and the little brown bat. Bats use echo-location to find flying insects at night much like sonar helps ships locate objects under water. Bats also have good night vision. They are not blind, as myth would have it. 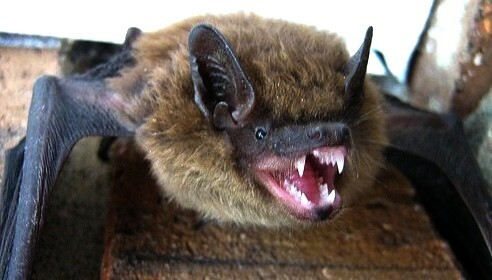 Brown bats feed exclusively on insects. They consume many pest species, but they prefer to expend the least amount of energy to obtain their food. They typically capture larger insects, such as night-flying moths, and do not live up to their reputation for controlling mosquitoes. Considered beneficial animals, in certain situations however, bats pose a threat to human health (see below). Note: If you get a bat inside your Massachusetts house, it does mean that a colony of bats are living inside your attic or walls. Bats do not fly inside your house at night unless they are already living there. Brown bats only go out at night to feed on flying insects and they are not looking for flying insects to eat in your bedroom. This is the only proper bat control method to rid bats from a dwelling. Our bat exclusion technique involves identifying all current bat entry points and properly installing custom temporary one-way bat exit doors at these locations. All other openings large enough for bat entry are sealed-up at this time. This is the most critical part of the bat removal procedure: If bat openings are prematurely sealed-up that are currently being used by the bats, this will trap the bats inside the house. The bats will then seek new ways out of the dwelling. From the attic they will travel down wall voids and pipe chases. Some of the colony will start showing up nightly inside the living areas of the house and others will be trapped inside the walls and between floors and die. Then, there is usually a foul smell from the dead bats followed by a fly infestation along with maggots emerging from some wall areas. This is why only an experienced bat exclusion expert should be doing bat removal work. Note: One-way bat doors are devices that allow bats to leave the structure, but prevent them from re-entering. Once all resident bats have exited the structure the temporary one-way devices are removed and the openings behind them are immediately sealed. The bats are now long gone and most likely will be living in someone else’s house within a 1/4 mile away. Although exclusion is the best way to rid structures of bats, knowledge and timing are critical for effective bat proofing. In older construction, or homes with complex rooflines, there may be several bat entry points that can be difficult to discover and even more difficult to access. If all openings are not found and sealed, bat problems will continue. Installing sealing materials and one-way devices can also be difficult because bat entry points are often high off the ground in difficult to reach locations requiring the use of large extension ladders and specialized climbing gear. We are highly trained and fully insured for this type of work. Note: Falling is a much more common accident than being bitten by a rabid bat. By the time you get this many bats, it’s common to also have developed a problem with either bat bugs, lice, or mites. Batbugs are cousins to bedbugs and act very similar. Once a batbug exclusion – removal job is accomplished and the bats are relocated, bat bugs will begin to roam in search of a new host, unless some preventative pest control is performed. Signs of roosting bats in a dwelling include seeing bat guano on the outside window – sills, guano on top of a window mounted AC unit, droppings on the roof or on the ground next to the foundation. You might also have noticed a musty ammonia odor in the attic or upstairs bedroom. 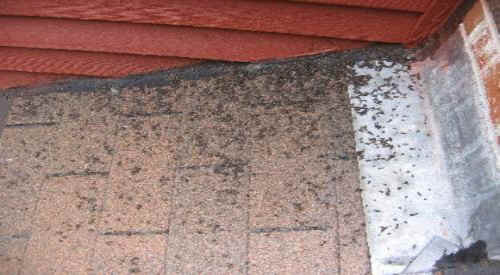 The most common sign of bats in a house is the presence of bat droppings on your attic floor or insulation. Seeing large piles of bat droppings is extremely rare. Usually, the droppings are falling into wall voids or some other hidden area and out of plain view. Note: Bat droppings unlike other animal droppings, crumble easily on contact into tiny shiny specs. If a bat is found indoors, the structure should be thoroughly inspected for the presence of roosting bats. 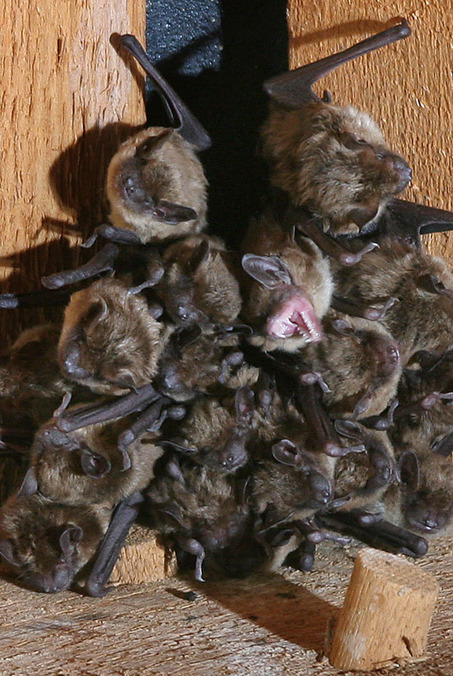 Structure-infesting bats pose a health risk and must be prevented from entering occupied rooms. Bats can enter living quarters from such passageways as ductwork, holes in walls, attic doors, chimney, false ceilings, and gaps around pipes and wiring. Note: Bats come out at night to feed on insects, not to investigate someone’s home. A bat found inside your home is a sure bet that you have a bat colony living inside your attic or upper walls. Rabid bats may exhibit no obvious abnormalities, so all contact with bats should be avoided, especially if a bat is seen flying outside in the daytime, flopping around on the ground or found indoors. Similarly, people should NOT be allowed to occupy a room in which bats are found, until it is certain that no bats remain in the room and that the room has been sealed to prevent their re-entry. Any bat suspected of having physical contact with a person should be captured and submitted for rabies testing. Bats can be captured by using a net, heavy leather gloves, or by covering them with a box or can, then sliding a piece of cardboard or other stiff material under the container to trap the bat inside. Your local animal control office, veterinarian or health department can assist you with submitting the bat to a laboratory for rabies testing. If the suspect bat tests negative, rabies treatment can be avoided. If a bat bites someone or has physical contact with a person, the contact area should be washed immediately with soap and water. Unfortunately, bat scratches and bites are very small and may go unnoticed. It may be impossible to know if contact with a bat has occurred. These situations occur when a bat is found in the same room with a sleeping person, infant or a small child or persons with diminished sensory or mental capacity, or persons under the influence of alcohol or drugs. Whenever a bat has physical contact with a person, or is suspected of coming in contact with a person, the bat should always be captured, if possible. Then, the incident should be reported immediately to a physician and local health authorities to assess the need for a rabies treatment. Popular home remedies for eliminating bats are just temporary, ineffective, and or, illegal. There are no pesticides registered for bat control. 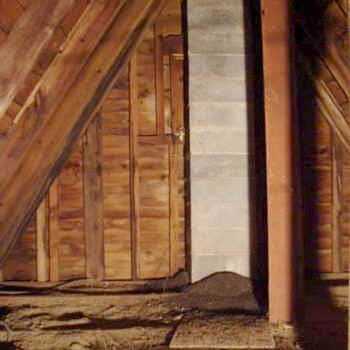 Moth balls or crystals (naphthalene) can be temporarily effective, but an attic requires three to five pounds to be used and changed every few weeks. This will cause your home to reek of moth balls for years. Bright lights may initially be effective, but are just temporary controls. In addition, ultrasonic and electromagnetic devices do not effectively repel bats, rodents or insect pests, despite advertising claims.